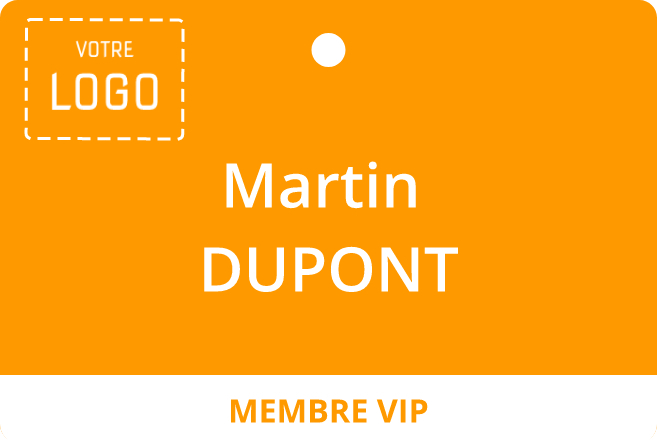 Choose simply a format among our professional personalized badges which reflects your event then go to the online editor to customize it. Customize your C-Card badges (86 x 54 mm) in a simple way or on the contrary customize them a maximum to distinguish you. This classic format will suit perfectly for your staff, for the members of a club or an association. Distinguish you with this wide format 120 x 90 mm. It will reflect the quality of your event. This format is our BEST-SELLER. Participants will remember of you! 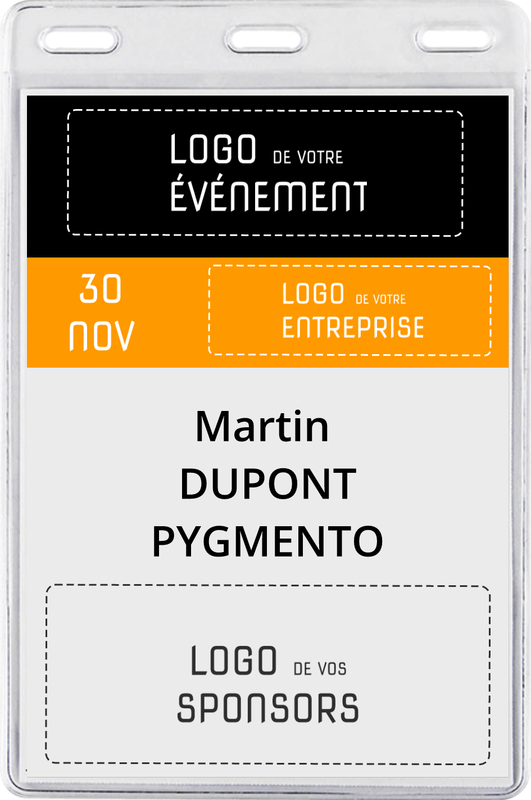 The badge in the A- format: 148 x 105 mm is the inescapable of professional fairs. Dispaly your event schedule, the your sponsors logos and customize it just like your event. It is ideal to underline your event by its wide extra size. 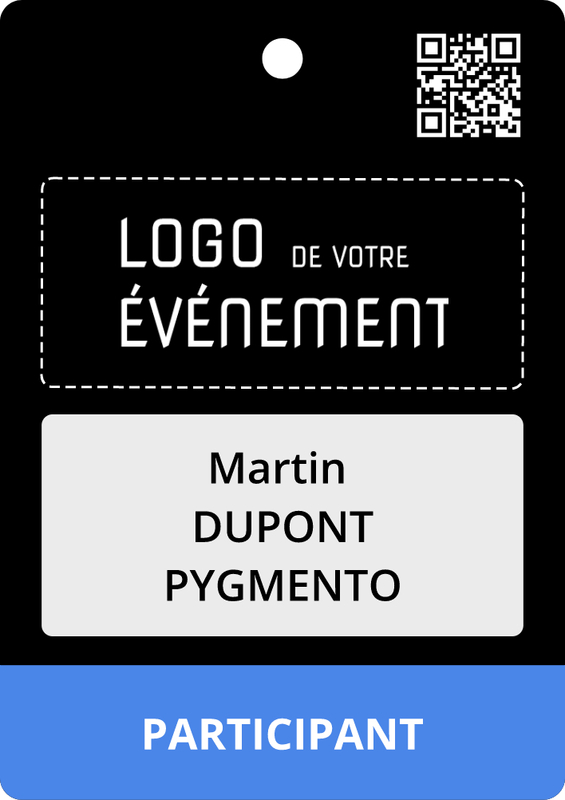 Our unique purpose is to make you save your time on the order of your professional customized badges. We revise constantly our process to optimize it. Use our on-line editor to design a badge that reflects your event or upload your graphical creations. Upload an Excel file or connect your online tickets account : Weezevent, Eventbrite, Toornament ou Universe. Choose among the various options, add lanyards if you wish and validate the order. You receive your badges, assembled and alphabetically sorted out at the address of your choice in unbeatable deadlines! Brilliant not?